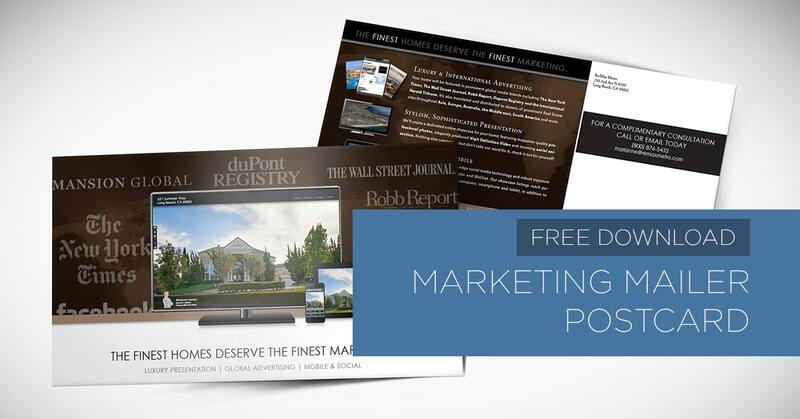 Our World Class Marketing Postcards are a great, simple way to promote yourself and your listing and reach prospective buyers and future sellers. 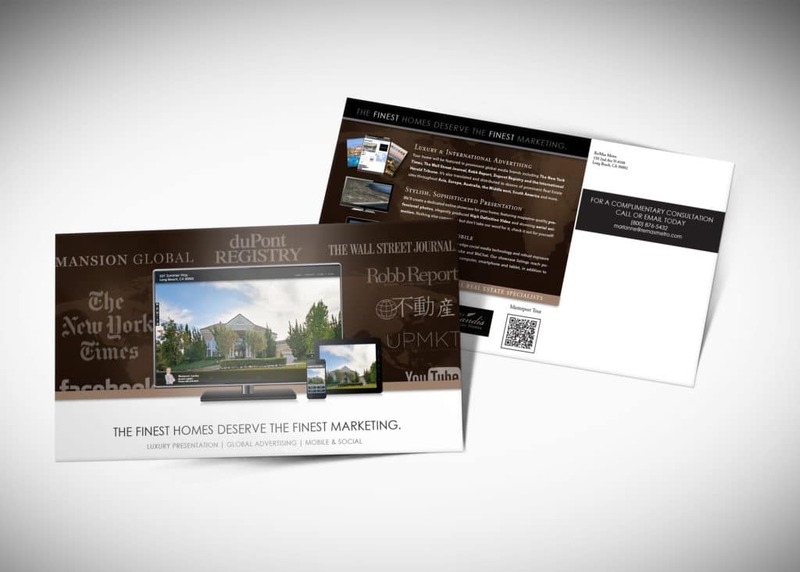 These two-sided postcards will professionally display your personal brand and your strong marketing proposal. 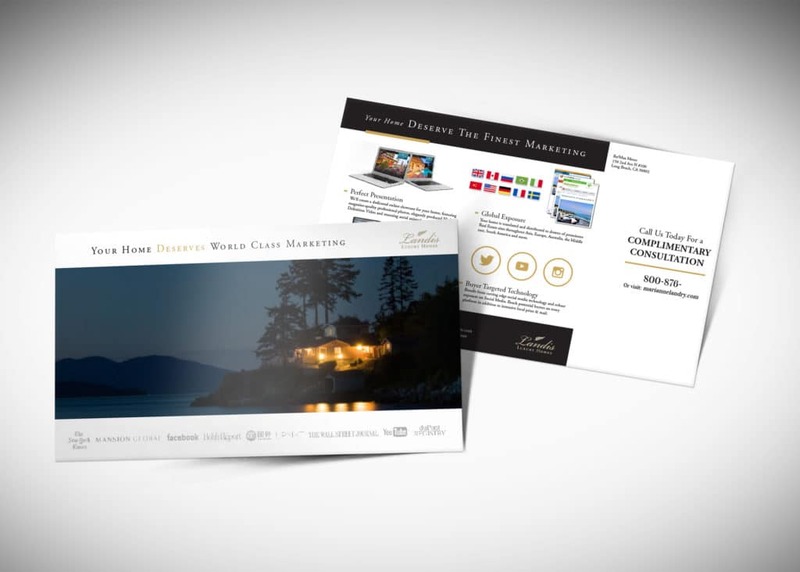 You can use the postcard in place of your standard business card to get more exposure for the listing and show your commitment to your sellers. They’re a sleek and memorable way to build your upscale brand.